We’re throwing a special holiday weekend bash at a lofty space in Brooklyn. 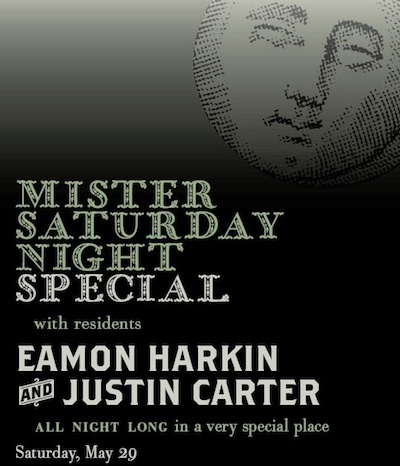 We did this before about a month ago–Justin & Eamon laying down the jams all night long and it felt, well, pretty special so we’re doing it again. If you came and got down with us and Horse Meat Disco, you’ll know the place–sprung floors, comfy cushions and chairs, and a nice roof where you can have a chat and catch a breath of fresh air. If you’re on our email list we’ll send you more info this week, if you’re not on the list sign up to the right and then let us know you’re coming. When you do, you’ll get the address info and all that.